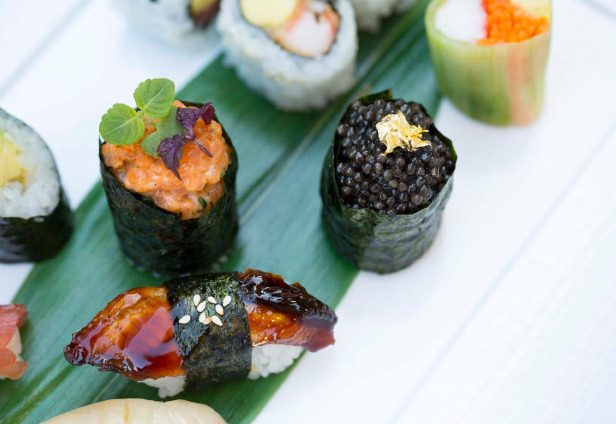 Joël Robuchon’s passion for sake has found a perfect home at 184, rue du Faubourg Saint-Honoré. Here, you can sample the “drink of the gods” at various stages of brewing: the Dassai 50, brewed from grains of rice that have been polished down to half their size, the Dassai 39, where only 39% of the original grain survives polishing, and the premium Dassai 23. Facing a glass wall made from sake bottles and slowly sipping one of the drinks on the list, you might fall in love yourself. Rice polishing is not an activity for those in a rush, and here, it’s all about taking your time. 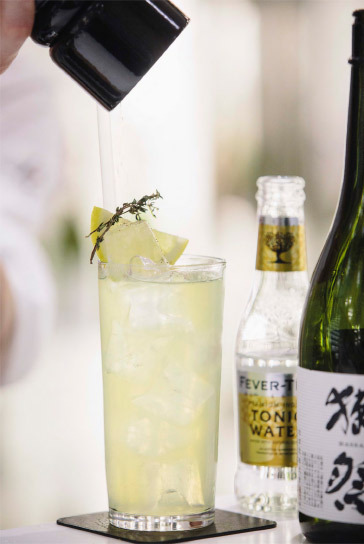 And while sake play an important role in Japanese dining, it is still a little-known beverage in Europe, where it is often mistaken for a Chinese spirit. Becoming acquainted with sake means opening your mind and palate to new flavors, new dishes and new sensations. 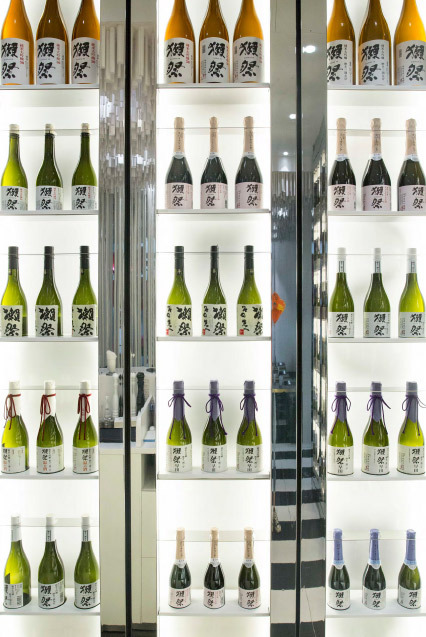 Unlike wine, explains Manuel da Motta Veiga, sommelier and Dassai’s Europe ambassador, sake is measured by the purity and subtlety of flavors, not by the strength of the aromas. The tasting, similar to wine, reveals even subtler nuances. Like wine, you appreciate the drink visually (purity and brilliance) but also with your nose and tastebuds. 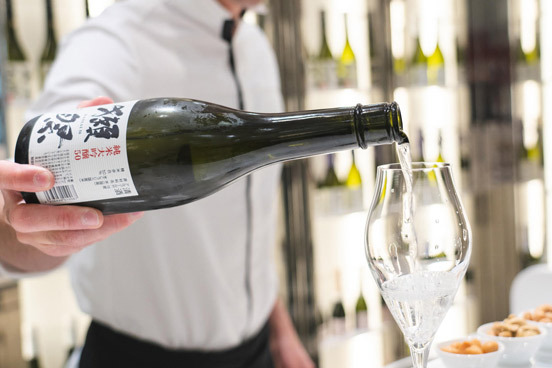 Before taking your first sip, make sure you swirl your sake in a stemmed glass — just like wine, it too needs aerating. More adventurous diners can order their Dassai warm or try the sparkling Dassai, which has a delicious bite. Cocktail lovers can sample a Dassai Bellini with peach and lemon, or the delicate Dassai Flower Sour, made with grenadine and violet liquor. Sitting at the counter listening to stories of sake and tales of a faraway place, you might also catch a glimpse of the pastry chef concocting mouthwatering treats and hear gasps of delight coming from the tearoom.